A Conditions Stakes over 6f on Standard going. I can't say this race type inspires as a betting medium. However, it is worthy of review especially with win prize money of £11,827,50. Six three-year-olds take part: all experienced, and winners. This looks a trappy affair with a few talents on show from major yards. Sutter County looked to be an outstanding juvenile when winning with real panache on debut. In hindsight, that wasn't the strongest of races. 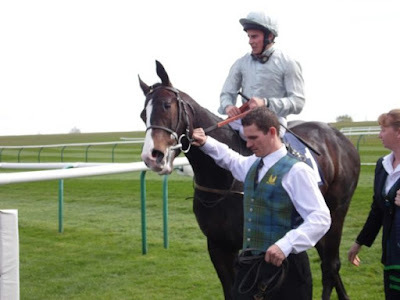 The luster of that victory was seemingly tarnished second start when this son of Invincible Spirit clambered home at Newmarket. In truth, this bay colt had sustained an injury, hence a layoff, returning to action in August. That was, perhaps, a disappointing effort although at Listed class. Stepping up a furlong [6f] Mark Johnston's charge disappointed when finishing last of seven in the Mill Reef Stakes (Group 2). This February foal has always been held in high regard by connections. He looks to be getting his career back on track. A narrow loser at Newcastle when carrying a penalty. In a competitive heat, he ran on well last time out at Wolverhampton. An official rating of 103 details a class horse. After problems, I have a feeling this colt is progressing in a steady fashion. A deserving favourite. David Evans Irish-bred Letmestopyouthere, has been kept busy by his industrious trainer. This son of Sir Prancealot has won over £27,000 in total earnings. A fair type, this gelding has an official rating of 87. He is a handicapper rather than a listed contender. Tomily is a is a bonny little colt. This bay son of Canford Cliffs is out of the mare Cake, who readers may remember, similarly trained by Richard Hannon [senior rather than junior]. Owned and bred by Des Anderson, this dual winner has not accrued, perhaps, what his ability deserves in regard of prize money [£16,914]. This January foal has been consistent in eight starts, bar unplaced in the Windsor Castle Stakes Listed Race. He was narrowly foiled by Sutter County at Newmarket although in receipt of weight. Last start at Doncaster, saw a bold effort when losing over 6f at Listed class. Robert Cowell has a decent juvenile every so often. Visionary caught the eye on debut. This son of Dream Ahead was fancied in the betting but looked to have a stiff task when dwelling from the stalls at Brighton. In truth, nothing could have been further from the truth as this good-looking horse won with ease. In fairness, it was a very ordinary race but this horse was an inspired purchase by the trainer for just 20,000G. Visionary has been running consistently over five furlongs and most recently picked up a nice prize when winning a Conditions Stakes at Wolverhampton. It will be interesting to see how this extra furlong goes. William Haggas has a number of talents in his stable. Second Thought ran a cracking race on debut over the minimum trip at Salisbury. The form of that race was strong and by all accounts this son of Kodiac would have won if starting on terms. This 70,000G yearling purchase was 4/11f next time out over 6f. It may not have been the strongest of races but he won with ease. Ralph Beckett trains Munro. Owner, The Hon R J Arculli is no stranger to class horses and this son of Kyllachy has proven a talent winning recent starts. He clearly needed his debut when unfancied in the betting, finishing second from last. Conclusion: Never an easy race type to digest. Such competitive heats rarely offer great value. Unless I can tag onto an outsider, I would rather take a watching brief. Sutter County captured my attention when making such a sparkling debut. He is probably lucky to be racing at all after his injury problems. He is progressing and getting back to his best. I will be rooting for this horse but not taking a financial interest.